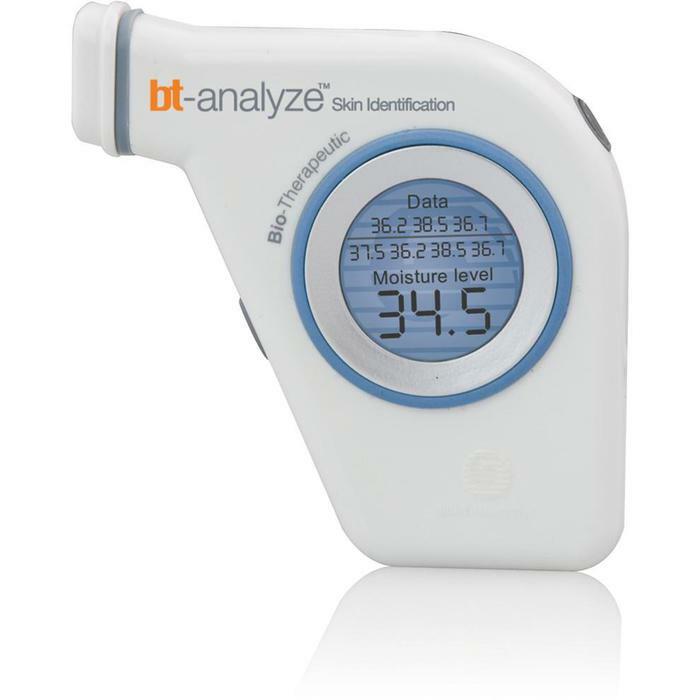 Using bio impedance technology and a patented sophisticated skin membrane sensor, the Bio-Therapeutic bt-analyze uses advanced technology to calculate the moisture content levels of the skin. This device is used in multiple zones of the face to clearly define the needs of each area. Each reading is saved and displayed on the intelligent LCD screen so that it can be documented at the end of the analysis. This tool gives quick scientific guidance to clients and begins the process of making them an active participant in understanding their skin function and need for specific products and services to reach their goals. 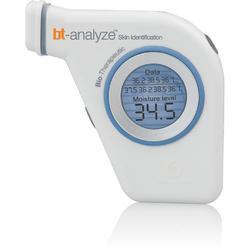 The bt-analyze should be used before and after each service to capture improvements made and to note modifications needed. Weights less than 5 oz.